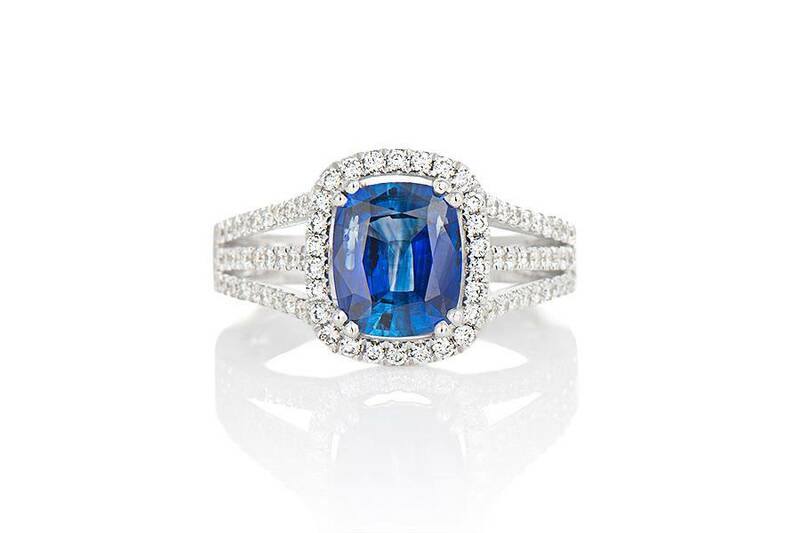 The Sophia is our timeless sapphire and diamond halo dinner ring. 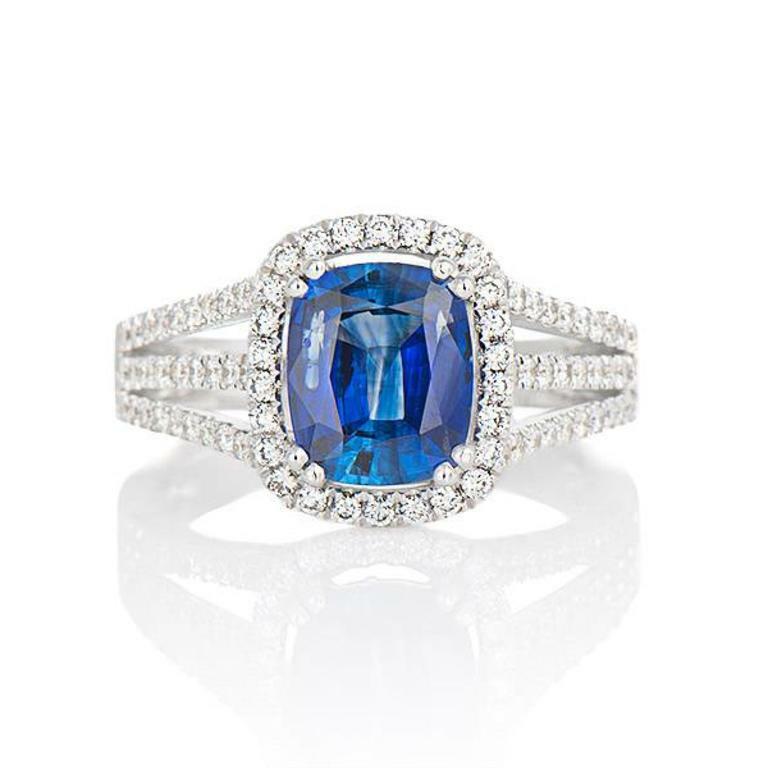 Crafted in 18k white gold, this setting is set with one genuine blue sapphire at center with a gem weight of 1.86ct. This sapphire is of fine clarity and a vivid, medium-dark blue colour. The ring is also set with round brilliant cut diamonds that are micro pave set into the halo and down the triple row band. The band also tapers delicately under the finger for ease of wear and comfort.